The inbound marketing landscape is constantly changing, and it can be hard for small businesses to find the time to keep up with the latest developments. At JZ Marketing and Communications, we keep up with the trends so our clients don’t have to. 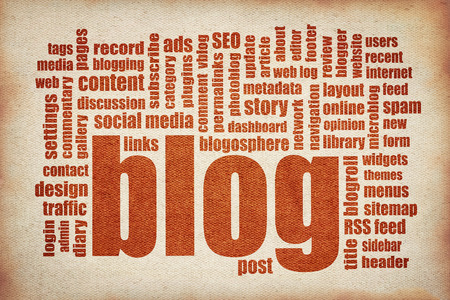 Our latest efforts are focused on making sure we’re up-to-speed on the blogging channel of inbound marketing. Specifically, we’re learning about a new way to think of a blog article as either a compounding blog post or a decaying blog post and the role of each in the blogging component of your inbound marketing program. A decaying blog post is one that creates an initial wave of traffic but then that traffic decays as time goes on. By contrast, a compounding blog post is one that generates growth in traffic over time. These names are interesting. Who would write or publish something called a decaying blogs post? It clearly carries a negative connotation because of how its traffic dies out after the initial wave. Obviously what you want is a compounding blog post because, like the magic of compounding interest that turns your money into more money over time, a compounding blog post grows its traffic over time, which makes it super-valuable for in-bound marketing purposes. In one sense these names are misleading because they automatically make you think you should avoid decaying posts at all costs and always write compounding posts, right? Wrong! Although compounding posts are more valuable over time for inbound marketing because of their growing traffic, decaying posts have an important role to play as well. To be honest, no business can engage in effective blogging without both kinds of posts. In fact, you’re doing really well if you can make just one out of every ten blog posts of the compounding variety. The reason a compounding post grows traffic over time is because its content consists of relevant, useful information that doesn’t wither over time, which is why many call it evergreen content. Posts like this tend to solve problems readers have. They’re easy to read by quickly scanning them, and tend to do best when words like how, why, and bestappear in the title of the post. Hubspot’s research department looked at the blogging efforts of more than 15,000 different companies. They found that while only 10% of the posts were of the compounding type, those same posts generate a whopping 38% of blog traffic. That’s impressive! According to Hubspot: “Over its lifetime, one compounding post creates as much traffic as six decaying posts.” So why settle for only one in ten posts being compounding? Why not go for more? Go ahead and give it a try and you’ll find out it’s not as easy as you might think – especially if you produce a lot of blog content. Frankly, it would be like hitting a home run every single time you’re up to bat, which simply is not possible. Besides, decaying posts do have their place. Take a vacation rental business like a condominium complex on Aruba. When there’s a special event on the horizon, you’ll want to write up an article focused on the specific event and how people planning on coming to Aruba for it can stay at your place. That’s a clear example of a decaying post because once the event is past, then the post becomes obsolete and irrelevant. But it did serve the purpose of marketing the lodging business to people who might want to come to Aruba for the event in question, whether it’s one of the island’s many music festivals, sporting competitions, or cultural events. What makes for a good compounding blog post is going to vary by industry, but it’s something every business ought to be looking at if you want to maximize the blogging component of your overall inbound marketing efforts. JZ Marketing and Communications can help your business figure all this out. Contact us today!